A serviced apartment offers safe travel you probably haven’t thought to consider. Safe travel encompasses every aspect of your journey from leaving your home to your forwarding and return travels. Why is this so important? To minimise health and safety risks to yourself, colleagues, family or friends you maybe travelling with. Company espionage is also important aspect to be mindful of and all necessary steps need be taken to protect company data. Your final travel destination should also be carefully reviewed to ensure it meets all safety standards. 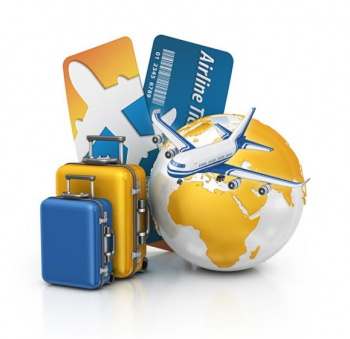 In this article we list 10 highly important tips to safe travel. Your home – if you live alone or travelling together avoid any obvious impression your house is unattended. It you have the newspaper or milk delivered, ask a neighbour to collect on the respective days. The same too for your dustbin, if it needs emptying while you are away, call on the assistance of a close neighbour or friend (someone you know you can fully trust). The less people you inform of your travel the better. Put the living-room or entrance hall light on a timer. Wardrobe – pack to mix and match outfits so you can travel lightly and to minimise the amount of luggage you have to carry around with you. Avoid attracting attention towards yourself by wearing expensive jewellery or offensive clothing. Legal documents – make copies of all the necessary documentation you are required to travel with such as your passport, air ticket, insurance details, credit card and drivers license. Leave one copy at home and take the second copy with you but separate from the originals. This is so that if any should get lost or stollen, the replacement process will be easier and quicker. Travel insurance – even if you are going on a business trip, it is important to check that your travel insurance is up to date and covers all eventualities. Digital devices – back-up all your devices before you travel. Taxi – should you require the use of a taxi service from the airport or to and from meetings ensure that you use an authorised service to avoid your safety being compromised and extortionate charges. Cash – with bank cards and electronic banking there is less need for caring cash than in the past but it is still worth reminding travellers to avoid carrying large amounts in your possession. It is important to ‘blend in with your surroundings’ as much as possible and not give the impression of being a business or leisure traveller. Conversation – watch what you say in public places avoiding any conversation that might be disrespectful, offensive or one that could leak out important information. You just never know who maybe sitting within an earshot of your conversation and the possible implications that may have. Free WiFi – don’t agree to any updates that may pop-up on your screen. When on social media, avoid giving away your travel location. Wait until you return home before posting all information and photographs that risk being shared and seen by the public. Accommodation – whether you have booked into a well known hotel chain or serviced apartment, your security is not always 100% guaranteed therefore taking precautionary measures is worth the effort – not opening the door to strangers and investing in a portable door lock for added security. Some serviced apartment providers offer a ‘meet and greet’ service which is particularly helpful for the lone traveller checking in. CCTV cameras are also common practice in many places monitoring any suspicious movements and acting upon them to avoid harm coming guests. Travelling alone has it’s risks so be extra vigilant, avoid attracting attention to yourself through your attire, behaviour or size of luggage carrying around with you. Sitting in a restaurant alone can also be awkward and make you feel more vulnerable. Try to share meal times with a colleague or business partner. Alternatively, if you book into a serviced apartment you have the option of cooking your own meals and eating in. You can even do a shop online through your favourite food store and have it delivered at the time of your arrival at your serviced apartment so that it doesn’t interfere with your travel arrangements. Serviced apartments are often located in city or town centres in residential apartment blocks. The advantages here are that you benefit the same safety as people residing in their own apartments and you blend in with the local inhabitants rather than being conspicuous as a traveller.